An analysis and interpretation of the so-called Harappan chimaera, one of the most peculiar and elaborate iconographies of Indus Civilization. It is represented on many stamp seals of fired steatite and corresponding clay sealings, terracotta tablets in bas-relief, copper tablets and tokens. 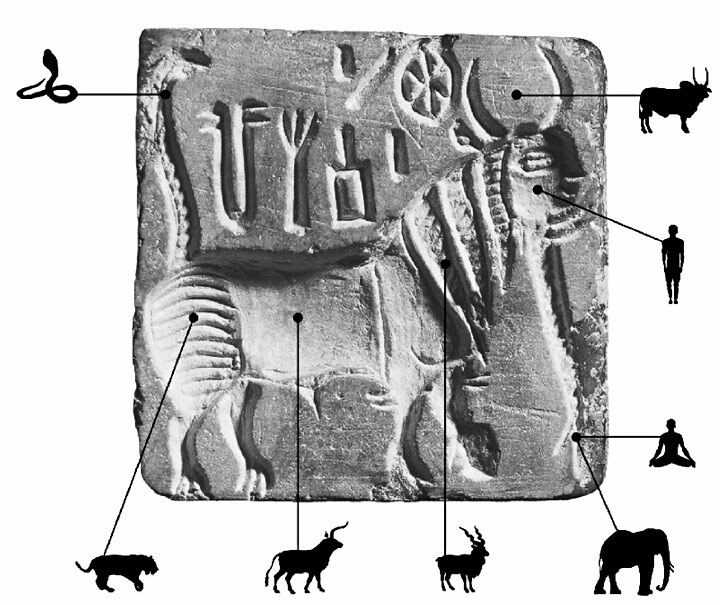 The Harappan chimaera was composed of body parts derived from different animals, as well as humans and other fantastic beings of the Indus imagination. A detailed documentation and description of all the objects bearing chimaeras makes it possible to recognize not only a basic set of regular combinations and some aspects of their possible changes in time, but also visual associations among selected parts of the chimaera's body that could be perceived and semantically intepreted at different levels. We believe that the sophisticated structure of these images fully deserves to be considered an early form of 'hypertext', following current definitions used in computer sciences. We conclude by relating the evidence and its cognitive background to other spheres of the early urban societies in the Indus basin.